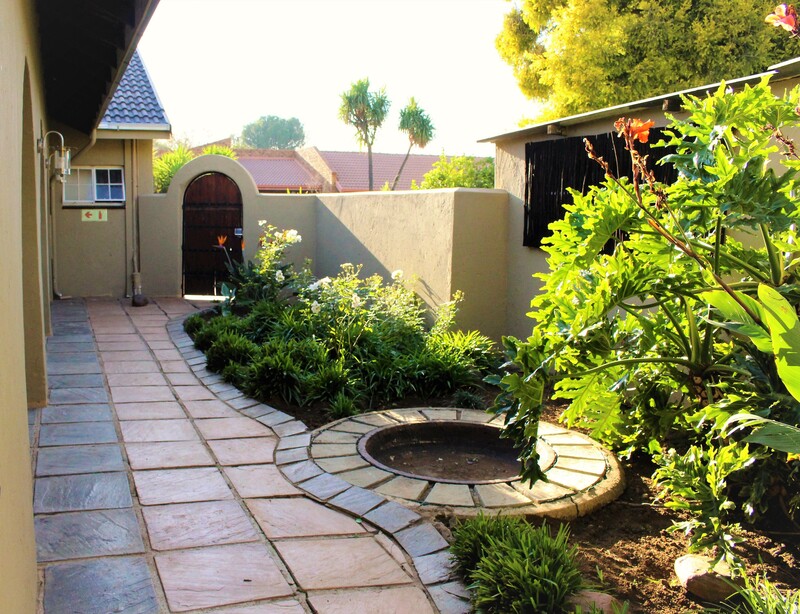 Safari Manor is a lovely guesthouse near Johannesburg OR Tambo International airport and ideally located for travelers passing through and looking for a comfortable and safe lodge to stay for a night or two. 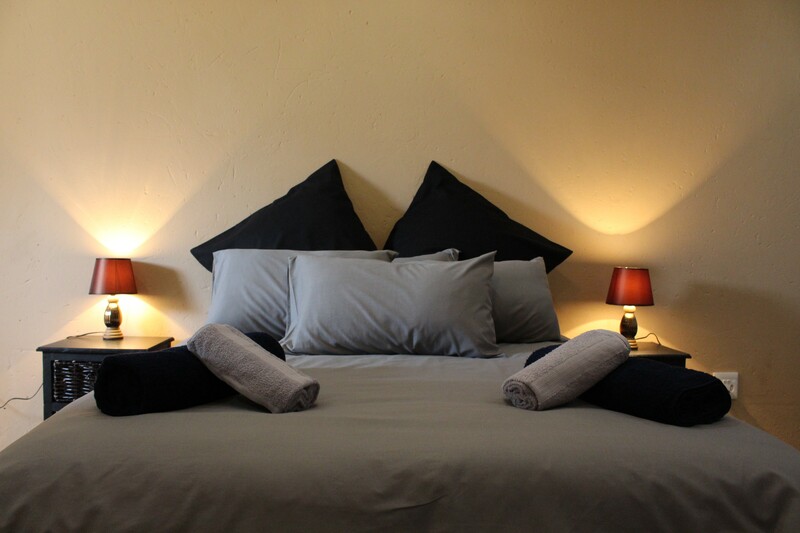 Our guesthouse is a mere 15 minutes drive from OR Tambo International in Johannesburg. 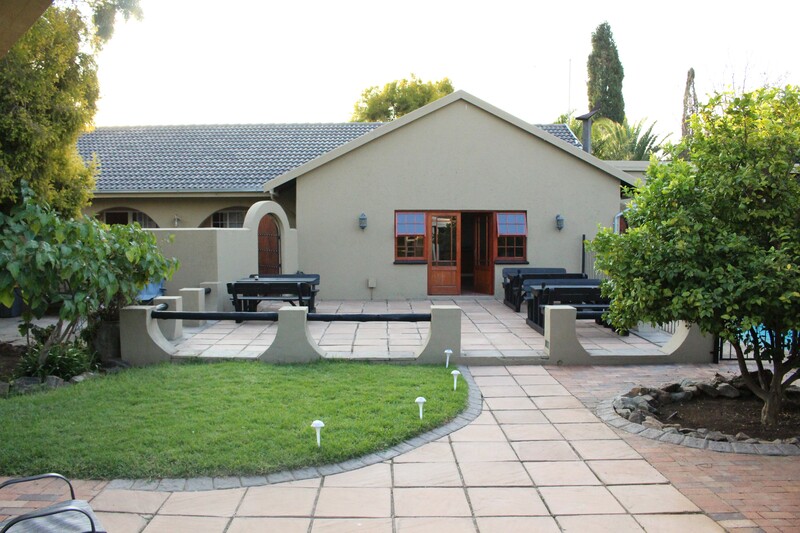 People in transit, waiting to go on safari or returning from safari, often prefer to stay over at Safari Manor. Our guesthouse has well appointed and comfortable rooms each with all the amenities you would expect. Each room has direct garden access. We have loads of outdoor space and a well maintained garden, You can relax on the main patio deck overlooking the pool while listening to the birds in the trees. 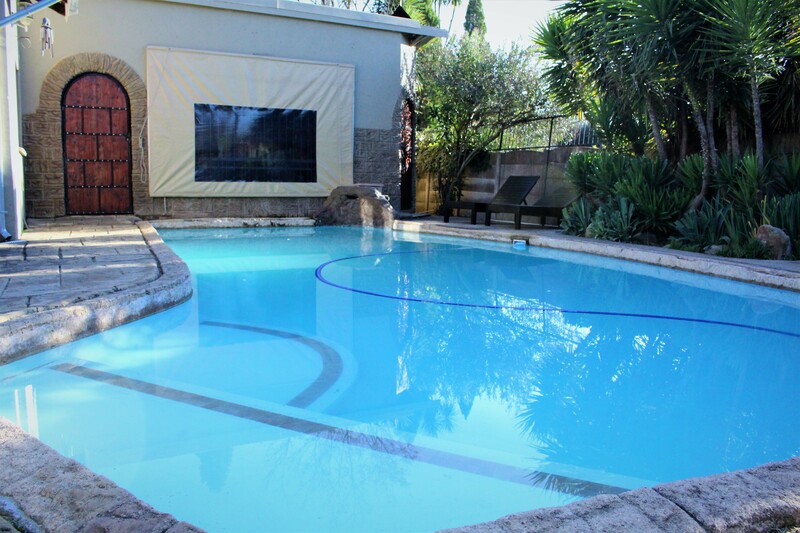 You can order drinks from the bar and meals or snacks from the restaurant.If it is a hot day you might want to cool off in our nice size pool. 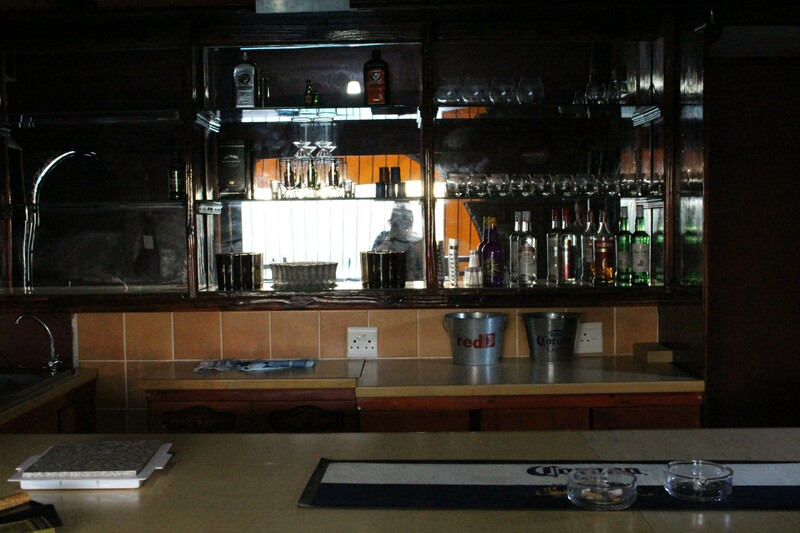 Safari Manor also has a guest lounge as well as a bar area each with multi-channel TV / DSTV. In the bar we have a nice fireplace and often prepare “braai” (barbeque) food over hot coals. The dining room also features a fire place to help keep you warm on cold winter nights.